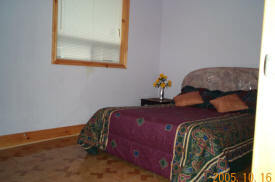 Welcome to Suites of Wasaga in Beach Area 1. “Featuring stone built modern cottages. 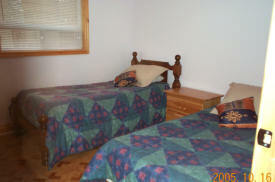 Each building has two bedrooms, accommodates 6 people comfortable. 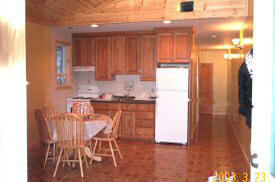 Full kitchen includes full size fridge/stove, microwave, cookware. Cable TV/VCR, Central Air Conditioning, gas barbeques, stone built fireplace, lounge chairs and picnic tables with canopy, umbrella, hammock under a shady tree. Located on Beach Area 1, and another building situated on Beach Area 2, both just walks away to the beaches, major restaurants, beer/liquor stores, beach nightclubs. 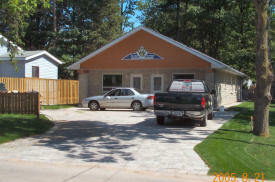 Suites of Wasaga is surrounded by beaches of silky soft white sand in a tropical setting. The seashore like setting, is safe for swimming, and miles-long for walking. The river, just walks away, is excellent for boating and fishing. We cater to proms, skiers, swimmers, hikers, volleyball players, worldwide tourism. Accommodates 20 people. Visit our webpage - www.suitesofwasaga.com. “On Beach Area 1 - surrounded by beaches of silky soft white sand in a tropical setting. The seashore like setting is safe for swimming. The river, just walks away, is excellent for boating and fishing. Walks to river for fishing, boating and seadoo rentals. Walks to beach strip nightclubs, restaurants, grocery stores and shopping mall. Walks to Blueberry Provincial Park for cross-country skiing, summer hiking/bike trails. Trails are miles long.